It’s been 11 years since I last exposed a roll of film. Towards the end of 2014, I was thinking that it has been far too long. Could I still remember how to cope with manual settings, single film speeds per roll and waiting days to see the results? I have also started collecting some vintage film cameras, so I decided that 2015 would see me use some of them in anger. Why these particular cameras? Mostly, I just liked the look of them and found a good working example on eBay for a reasonable price. My only stipulation is they have to be older than me! 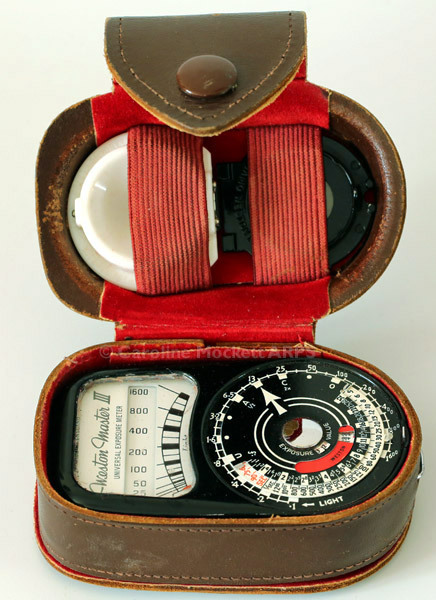 One camera also came with a Telex Rangefinder and Weston Master III exposure meter, both of which will come in handy for the project. I’m also using my DSLR as an exposure checker and accurate focus reference with my 50mm lens (it has focus marked in feet on the barrel). We will see how it goes with both methods. I’m not sure if I will just make one exposure per day, or a few and pick the best. Either way, I’m going to have to wait until the film is back from being processed before I can upload. I will get each film scanned to CD at the time of processing, which should save a bit of time, but postings here are likely to come in batches with at least a couple of weeks between them. I hope you enjoy my Retro 365 experiments! Read more about the cameras and film.